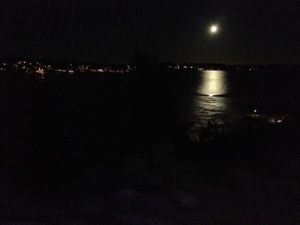 The moon looked fantastic over the water at my parents place tonight. I just had to walk outside to take a picture! 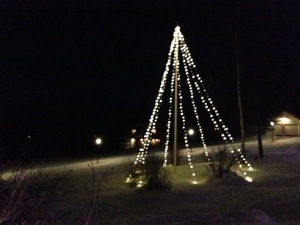 The flag pole with the lights looking like a Christmas tree is also a great sight here.